Blood of the Wolf is nearly ready! Sorry, I’ve been quiet recently and it’s down to the fact we’ve been having building work done on our house. So I’ve been painting and using a caulk gun for the first time in years and it’s meant work on the new book has been put on hold, just a little. It IS almost finished though – I’m literally about to write the final scenes. Once that’s done I’ll just need to go back and add in any little bits that needed researched (Stephen’s history will be in this one for example) and then it’ll be off to the editor in mid-July. It should be ready for publication sometime in August which isn’t that long to wait, right? I need to make sure I get everything spot-on for this, since it’s the very last book in the series and I want it to be memorable. 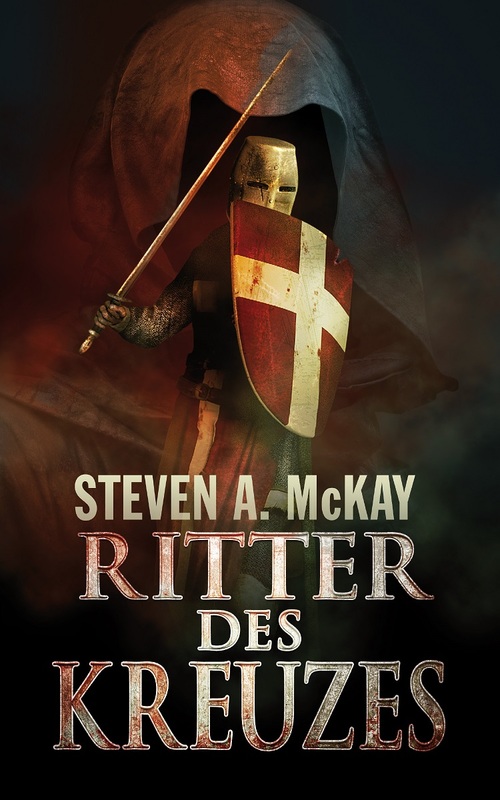 I do plan on writing a Will Scarlet novella which will be set AFTER Blood of the Wolf so that’ll be a stop-gap until the brand new series can get started…..
Other than that, the German version of Knight of the Cross was in a free promo on Amazon.de and hit the overall top 20 which was amazing. I hopefully gained hundreds of new, German-speaking, readers with that one. I also reached a real milestone with over 5,000 audiobook sales in the past two years. Having listened to each of them myself I can honestly say Nick Ellsworth does an amazing job of reading them. 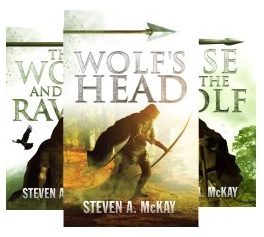 Check them out if you haven’t already – anyone owning the Kindle version gets the audio at a reduced rate! In general, all the books continue to do well in the UK but PLEASE, leave a review on Amazon and/or Goodreads if you haven’t already. It really does help buyers. In fact, I tell you what – if you leave a new review today on ANY worldwide Amazon site, email me at stormwatch1977@hotmail.com or use the CONTACT button on here to let me know and I’ll put your name in the hat for a signed book! Particularly looking for reviews in places like India, Spain, Germany, Canada and Australia but I’m overjoyed with every good review I get no matter where it is. Phew, that was a long one, I hope I didn’t lose anyone halfway through! Have a great summer everyone, forget the EU referendum, Trump/Clinton or whatever political woes face your country, and just chill out in the sunshine with a cool drink, a good book, and remember – we’re only here for a short time so make the most of it!